His first transformation came when he left master's degree studies in chemical engineering at UC-Berkeley to turn a hobby into a career making music, influenced by the sounds he had been exposed to as a science-fiction-loving, video-game-playing kid whose father was a part-time Chicago DJ. As Cajmere, he released his inaugural Underground Goodies EP in 1991 on his Cajual label, keeping true to the early House sound. He quickly followed it up the next year with the smash hit "Coffeepot (It's Time for the Percolator)." Not one to rest on his success, he soon changed things up, teaming with vocalist Dajae for "Brighter Days," a more mellow House tune, this one released by Emotive. That pairing would be his last with a female vocalist until his recent partnership with rapper Kid Sister for "Everybody Wants." The 17 years in between those two projects witnessed an incredible array of electronic music emanating from this prolific artist, as well as a second label under his direction, Relief. 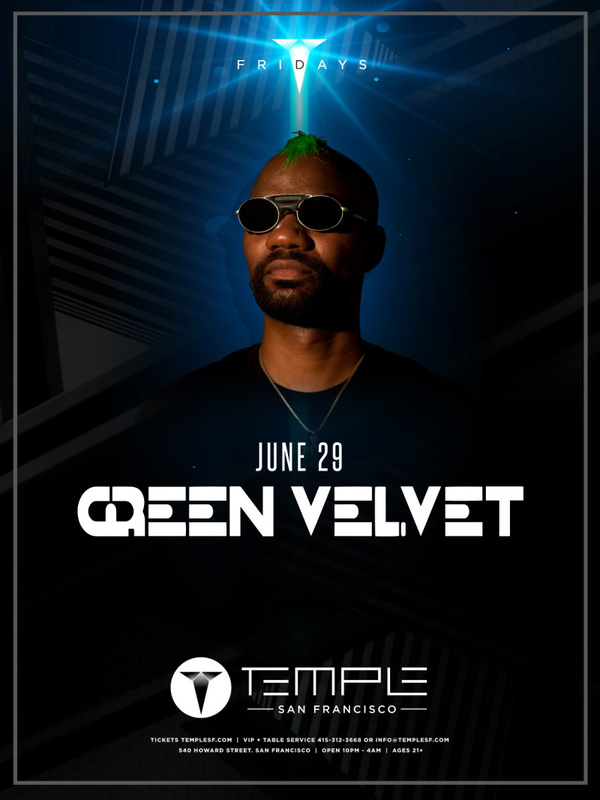 Adopting the persona Green Velvet (not to mention a Day-Glo shock wig) for his techno-oriented pieces and DJ appearances, he became the champion of new wave Chicago beats through the '90s—known best for hits such as "Preacher Man," "Flash" (a No. 1 U.S. dance hit in 1995), and 1997's laugh-inducing "Answering Machine." The decade ended with his first album, Constant Chaos in 1999. The new century brought a compilation album, Green Velvet, during a brief signing with Warner Bros. Records' short-lived F-111 imprint, and a production album, Whatever, on Relief. The punk-inspired Whatever explored darker themes than his previous work, including racism ("When? "), drug use ("Genedefekt" and "La La Land"), alienation ("Sleepwalking") and bending to authority ("Gat"). "La La Land" went on to become by far the biggest selling track of his career. His live act expanded as he began playing a keytar, with two other musicians—Nazuk and Spaceboy—backing him, playing heavily distorted synths. In 2005, Green Velvet released his third album, Walk In Love, which stayed true to the House sound, with a few pop- and punk-oriented tracks for good measure, including "Come Back" and "Pin-Up Girl," both of which featured a live guitarist. The following year marked a significant change in his personal life, as Green Velvet revealed he had become a born-again Christian after an overdose of so-called recreational drugs. His music since then has reflected his conversion and new attitude on life, including the single "Shake and Pop," and 2007's online-only track "Love Peace, Not War," a short ditty in response to the war in Iraq.